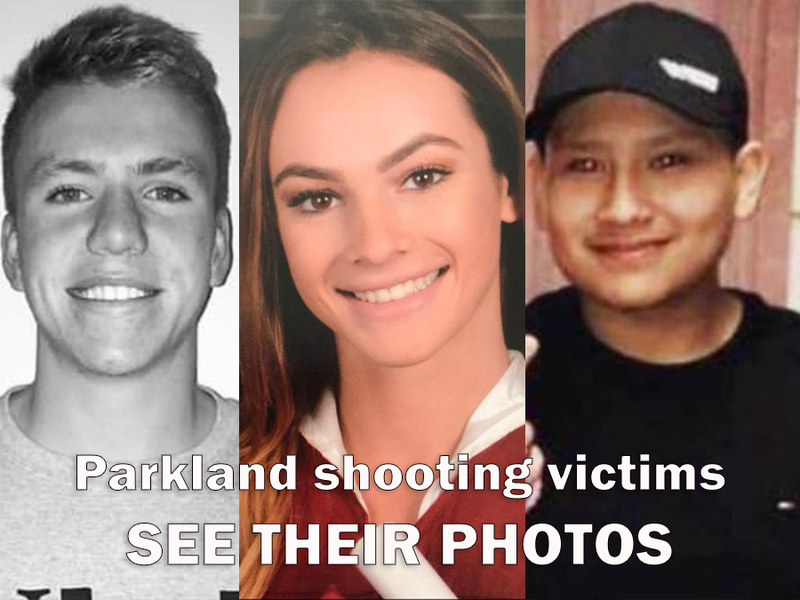 As we learn more about the people who lost their lives during the shooting massacre at Marjory Stoneman Douglas High School in Parkland, we’re also hearing more about the heroic efforts of teachers and staff members. Some lost their lives taking bullets that could have hit students. Both a football coach and a geography teacher are being hailed as heroes for sacrificing their lives. Other teachers and staff members are getting credit from students for keeping them calm and getting them to a safe place. Offensive line football coach, Aaron Feis, 37, was killed by the shooter after reportedly shielding students with his body. “I wasn’t surprised when I heard he did that, not at all,” said football player Yohance Williams. Williams described Feis as a friend and a mentor to many. “He loved all the kids at Douglas. He was a friend. He was more of a friend to us than a coach sometimes,” Williams said. Feis was also hired to do security for the school, according to students. A former football player and current student, Darryl Vernon, was among the many devastated by Feis’ death, but also not surprised to see he acted to protect students. Feis leaves behind a wife and daughter. “I know he adored his daughter. He used to bring her to practice and we’d see her while we were playing” Williams said. A geography teacher, Scott Beigel, 35, reportedly was shot while opening his classroom door to let students inside. He was shot, students say, while trying to lock the door to his classroom to keep the shooter outside. A student said he successfully locked the door and likely saved students in that classroom. “He opened the door for [a student] because the shooter was right behind her, and getting into the room he tried to block all the students and ended up getting shot but he locked the door,” one student said. Vernon gave another school official credit for his safety. “Ms. Reed, she was the one who got us into the band room. She was responsible for 50 kids in that band room,” Vernon said. “A teacher had opened one of the doors to the culinary room and started screaming at any kid near just to get inside and get in the back room,” said student Sophia Rodriguez. “The first responders obviously and the teachers, they kept calm and at least in the auditorium. They rallied us up, they kept us quiet and it’s amazing what they did,” said Camila Padilla. Students are not shy to call these teachers, coaches and staff members heroes. “They deserve that title,” Vernon said. “I hope people remember him as a hero because he is a hero. One of the greatest guys I knew,” said Williams.